The Russian government made extensive efforts, through hacking of email as well as information warfare, to help Donald Trump win the 2016 election. Multiple members of the Trump campaign knew of these efforts in advance. Trump himself publicly called on the Russian government to release information that would hurt Hillary Clinton and benefit him. During the course of the election, Trump's campaign chairman exchanged polling data with someone who the FBI has said has ties to Russian intelligence; Trump's son wrote "I love it!" when offered what he thought was dirt on Clinton from Russia; Trump's camp maintained an elaborate business relationship with Russians who had ties to the Kremlin. And in every single one of these cases, the people involved lied extensively when questioned. These are not disputed facts. 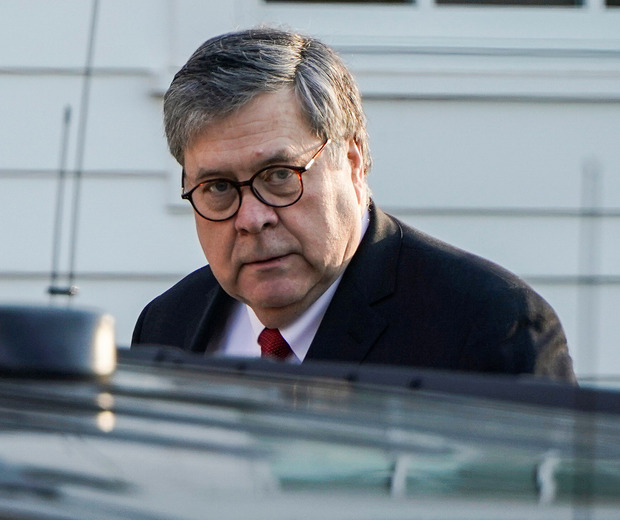 Even Republicans who have welcomed Attorney General William Barr's summary of Robert Mueller's unpublished report have accepted them. But according to that summary, it seems that they do not amount to an illegal conspiracy. Which can only mean one thing: There is something wrong with the law. I say this even though I have argued for three years that the very worst things about Trump are the things that are public, visible, legal - and immoral. His affinity for dictators, his scorn for American allies, his refusal to support US civil servants and US intelligence even while standing next to Vladimir Putin - these are behaviours that should disqualify him from any sort of public office, let alone the presidency. But in the course of this investigation, we have also learned that we are living in a new world - one in which our public sphere is open to manipulation by anybody, not just Russia; our authoritarian enemies are now wealthy businessmen, not Mao-jacketed communists; and our old-fashioned, fair-play, amateurish ethical norms are insufficient. As Garry Kasparov wrote recently, "Putin and his imitators are good at finding the gray areas of public/private, legal/illegal, media/propaganda". The agents of influence who look like rich businessmen, or "gun rights" activists, or lawyers - these are not the Soviet spies of yore. In this new era, we need much tougher laws on conflicts of interest, and far more resources to enforce them.